WIBR is an android app that you can use to break into a password protected (weak) WiFi network. It is actually a brute forcer that allows you to perform a dictionary attack on the target. If you don't know what is a dictionary attack, read this Wikipedia article: Dictionary_Attack. Note: Turn on your WiFi before diving into the tutorial. 1. 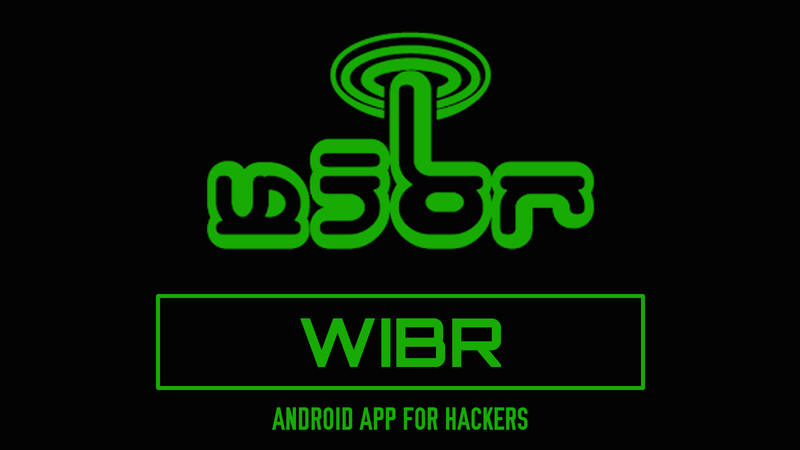 Download and install WIBR on your android device. 4. Choose the wordlists you want to use and then tap on "Start Wordlist Test". The app will start attacking the target WiFi network (See the image below). Wait for some time, it will display the password (if it is in the wordlists). Note: The attacking process is very slow, so you have to wait for a really long time to get the password. Where is the locati9n for the wordlists. Can they be updated? No, WIBR doesn't allow that. You might need to upgrade your device. Glad you liked this app. 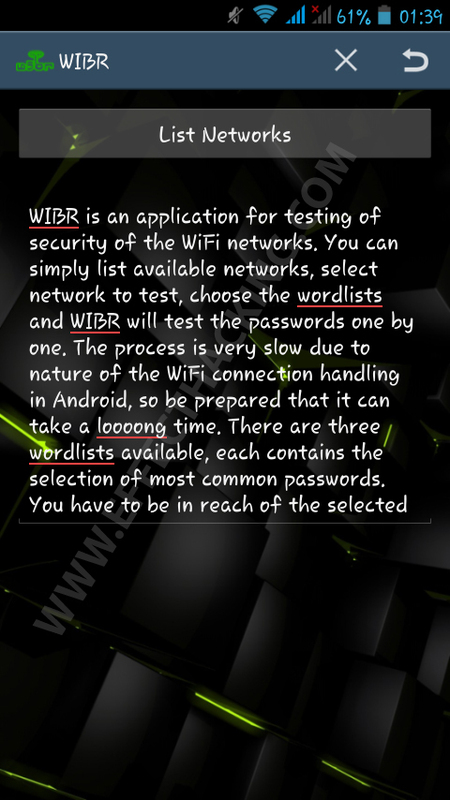 WIBR doesn't allow you to customize the word-lists. Can you tell me which app will hack wifi pass in less time ? i know this app wibr+ takes very long time to hack it. Password cracking is on of the best ways to get the WiFi password, and it takes time. Be patient bro. It can hack passwords with numbers. 373 KB, yes the dictionaries are built into the app. The app tries to authenticate with multiple passwords. the reason why low signal is not allowed is because, it takes longer for authentication and even if a correct password is tested, there is a chance that the authentication would fail. Nice i tried on my own router its works. Gokul G I wanted to know, how will I know when there will be new updates to the Wibr and Wibr + applications, one that in the Play Store sends notifications requesting you to update the apps and Wibr and Wibr + are not part of it. How will I be asked to update such apps? WIBR and WIBR+ are developed by AuraDesign (http://auradesign.cz/), you can look at their website for updates. Thanks for the reply Gokul G! Sorry, I don't have the source code. This app is not really a good bruteforcer, so may be 40 or 30% chance. But if you use WIBR+, then there is a higher chance. this method give the root? this app doesn't require root access. What is the problem bro? Can you give me more details? Glad you liked the app, Arun. Hi bro when i click on custom dictionary it opens gallery,contact,and other but the process of hacking is not starting?? Password not found! Why? my time just wasted tsk.. I'm asking this because my antivirus detected it as a malware!!! Why does it change the network password? This ruins this app and is totally unnecessary. Could you please teach how to hack fb n whatapp.